Blending two natural fibers into one comfortable long sleeve henley that’s perfect for the city rider on the go. Feeling at home on or off the bike, the slim athletic fit offers a second-skin-like fit, keeping you comfortable throughout your ride. 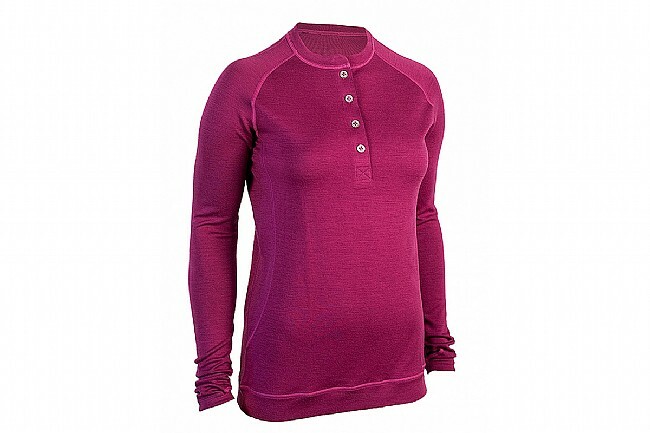 Featuring fine bamboo fibers for a soft, cool feel that blends perfectly with Merino wool on the face of the shirt, keeping you warm and dry as you pedal or walk throughout your day. The two natural fibers are knit together, creating a lightweight and durable mid-layer with all the benefits of both fabrics. The flat-lock stitching and seamless underarm panels reduce friction which causes chafing, while the long torso and sleeves with thumb-loops keep this shirt from riding up. Raglan sleeves with thumb loops.